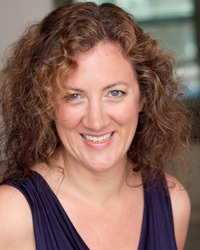 Annie has had the great fortune to act and direct locally, nationally and internationally for the last seventeen years. Locally Annie has performed with Book-It Repertory Theatre, The Empty Space, Seattle Shakespeare Company, Wooden 'O', Arts West, Annex Theatre, Spokane Interplayers, New City, and Theater Schmeater. Other credits include: The Court Theatre, (New Zealand), Jennetta Cochran Theatre, (London), The Schollschberg, (Amsterdam), Berkshire Theatre Festival (Massachusetts), and Belfry Theatre, (British Columbia). Recent roles include: Antonia in My Antonia (Book-it Rep), Elizabeth in Richard III (Wooden O), and Nadia in The Vertical Hour (Arts West). Currently, Annie will be directing the world premiere of her adaptation of Hotel on the Corner of Bitter and Sweet by Jamie Ford for Book-It Repertory Theatre opening this September.